Its model number and name are #1700 / Dollhouse Miniature Glass Pitcher. Character Bio - When not mixing up new flavor formulas of Kool-Aid in his high tech Wacky Lab, this beloved giant wall bashing red pitcher battles the evil Thirsties who are the enemies of children everywhere, especially during the summer. Can he provide the masses with a refreshing drink that has vitamin C? OH YEAH!!! 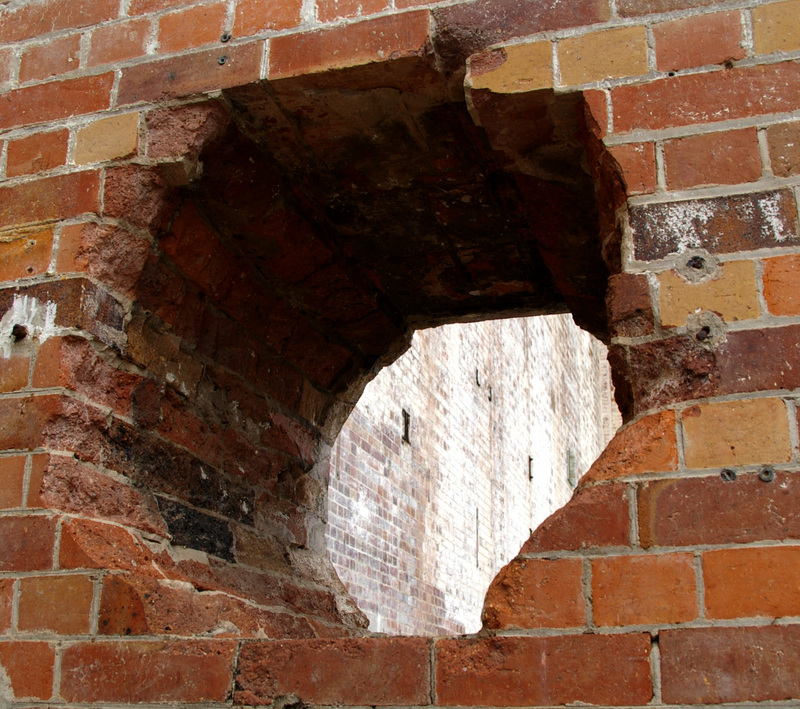 Q: When "Hey, Kool-Aid Man!" says to heal "every adjacent figure", does that mean only friendlies, or enemy figures adjacent to Kool-Aid Man as well? A: Every adjacent figure means every adjacent figure - enemy figures will be healed by "Hey, Kool-Aid Man!" as well as friendlies. It's hard to keep track of who's who when you're handing out refreshments. 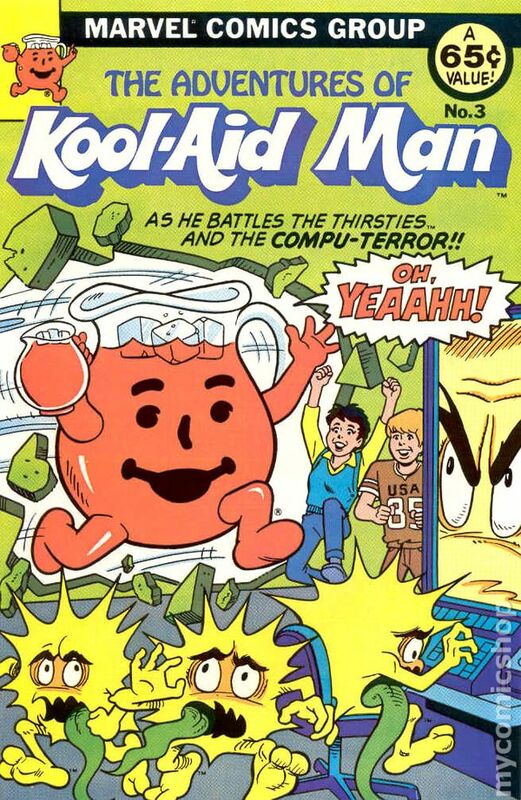 As a Marvel figure, Kool-Aid Man has these Marvel Synergies. As a Scientist, Kool-Aid Man has these Scientist Synergies. 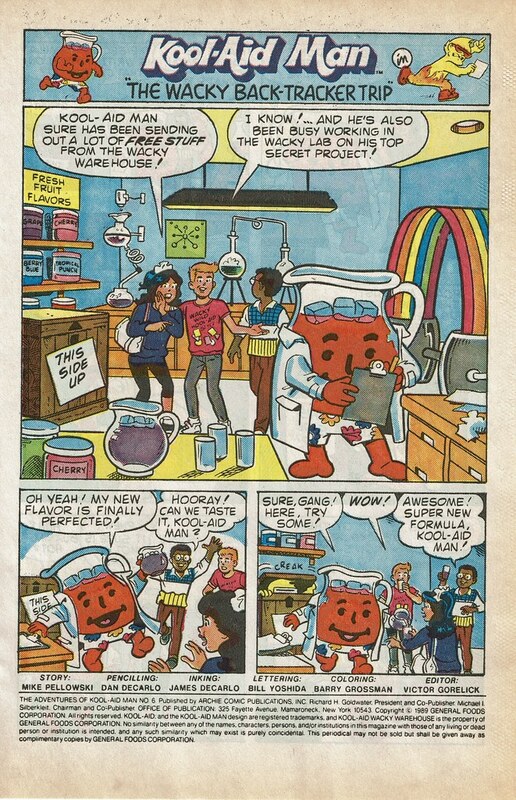 As a Scientist, Kool-Aid Man interacts differently with these special powers. Last edited by Ronin; April 1st, 2019 at 06:03 PM. When moving normally, Kool-Aid Man may add 5 to his Move number as long as he ends his movement adjacent to an engaged friendly figure. After this move and instead of attacking, you may remove one Wound Marker from the card of every adjacent figure and then place two Wound Markers on this card. When moving normally, Kool-Aid Man may move through one destructible object. After moving, destroy any destructible object Kool-Aid Man moved through this turn. Each time an adjacent figure attacks Kool-Aid Man and inflicts at least two wounds, you must remove a Wound Marker from that figure's Army Card. When moving normally, Kool-Aid Man may add 5 to his Move as long as he ends his movement adjacent to an engaged friendly figure. After moving and instead of attacking you may place two wound markers on this card and remove one wound marker from every friendly adjacent small figure. At the end of each round, if Kool-Aid Man is on a water space, you may remove two wound markers on this card. Last edited by Zettian Juggernaut; April 18th, 2019 at 11:35 AM. Last edited by Tornado; March 16th, 2019 at 01:22 PM. To go on the record: I am down with his personality just being "8)" or something cheesy like that. What's the logic behind Scientist? I’m sure his bio will cover that. This guy loves the hydrating powers of Tempest and Ocean Master. Edit: ideas on Small figs to pair with him? Power Pack maybe? Add in Invisible Woman? I'd get rid of Refill unless you want him to be a ton of points. You could also cut his life down to 6 and cut Refill down to removing one Wound Marker instead of 2. To go on the record: I am down with his personality just being " " or something cheesy like that. I am open to whatever for Personality. Kool or Cool would be my next two choices. We can go with Inventor instead of Scientist if we want to avoid that synergy. It may be a good idea so he does not fit so awesomely into a Reed, Sue, Power Pack build. He certainly invents things in his Wacky Wharehouse, with the main things being new formulas for new Kool-Aid flavors. He is even wearing a lab coat here (and boxers?). Last edited by Tornado; January 22nd, 2019 at 04:32 PM. Agreed. Also it is not really something that happens in the comics. The first two powers are solid, he uses them every comic. The third power could be justified as he does refresh folks but he never really empties out, so I am leaning towards cutting the end of that power or just dropping it all together. At the end of each round, remove one wound marker from every friendly adjacent small figure. And then just drop Refill. I am pretty open here though. The only other direction we could go is some sort of Flavor Packet Glyph. The one comic does feature a secret formula. We could give him a Kool-Aid Gang power that transform a squad of Civilians into the Kool-Aid gang and give K-AM bonding with them. Hero alert here. I think everyone chimed in earlier except maybe Karat. @Arkham are you still willing to try a custom here? Let me know. If not I will give it a shot. Probably will try regardless but would prefer your talents. I will tag Dysole after we settle on a power set. That should clear us for the CRB. If need be. I forgot about the CRB checklist. Last edited by Tornado; January 22nd, 2019 at 04:36 PM. Last edited by Tornado; January 22nd, 2019 at 04:35 PM. Kool-Aid Man, Rocket II, Baby Groot, Cosmo, Star Lord, + ? That's 3 small figures right there in a GotG build. Rocket II can shoot when Kool-Aid Man moves up trying to stay close to his small allies, Star Lord can also help Kool-Aid Man move up via his SA. *edit* Was thinking an Ant-Man & the Wasp army might be an option too but they are all Tiny, any desire to include Tiny figures with the Small? *edit2* Looking at the points for the above army and Kool-Aid Man at 90 would make for a 800 or 1000 point team. No idea what so ever if 90 is realistic here based on stats and powers though.